$205? That's a bit random, isn't it? 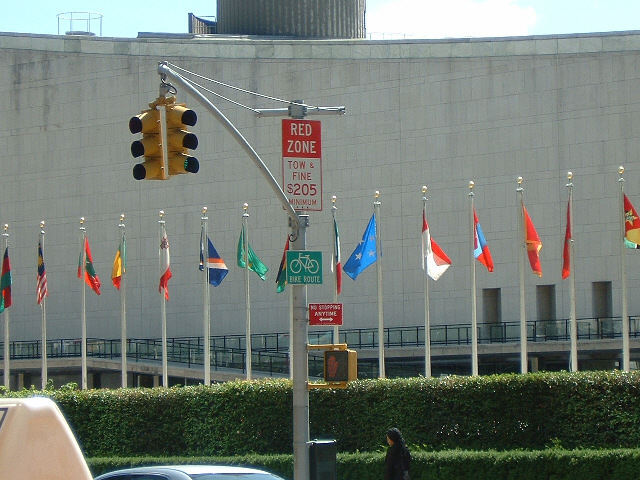 In the background here are some of the flags of the United Nations.